These two books, the second and third in the John Cleaver series by Dan Wells, are sharing a review because they really ought to be read as a unit. And it's just too hard to keep separate reviews spoiler-free, especially trying not to spoil anything from the first book.. 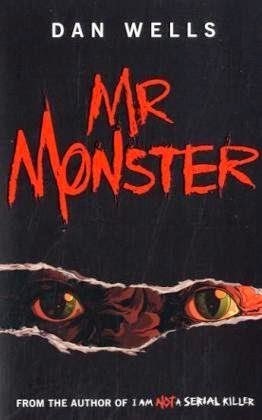 I've mentioned before that horror is not my genre, so I was rather surprised that I was so drawn in to this series. Please be forewarned, there are gruesome, stomach-turning passages describing torture, murder, and supernatural ickiness. It's definitely not for everyone. 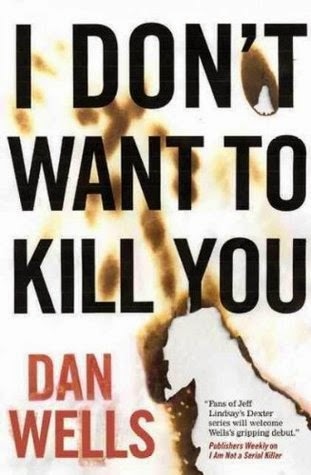 What makes these books so incredibly fascinating - enough for me to get past my general avoidance of the genre - is the deftness of the psychological portrait Dan draws of each of the characters, but especially John Cleaver himself. John's sociopathy ironically makes him more aware of the mechanics of emotion than most people since he's had to consciously study feelings and emotional responses in order to mimic them well enough to function in normal society. This awareness is his greatest tool fighting against the almost unfathomable killers he hunts. It also aids his slow progression towards becoming more human, towards connecting with others, to realizing - almost to his surprise - that he "ha[s] a heart". Humans aren't defined by death...and they're not defined by what they lack. They're defined by their connections. I really hope this isn't the last we'll read about John Cleaver. Dan leaves the third book leading in an intriguing direction with possibilities for a riveting ongoing series. Trigger warning: As I mentioned above, there are gruesome, gory descriptions of torture, murder, and suicide in these books. Read with caution. Disclosure: Once again, in the interests of full disclosure, Dan and I knew each other during our freshman year of college. Doesn't change my opinion of his books, though, to be honest, I probably wouldn't have picked them up in the first place if I didn't know the author.